Is This One of the Most Innovative Buildings of the Year? You're looking at a building that's been shortlisted for a prize awarded to a building in the UK that has contributed most to the evolution of architecture. 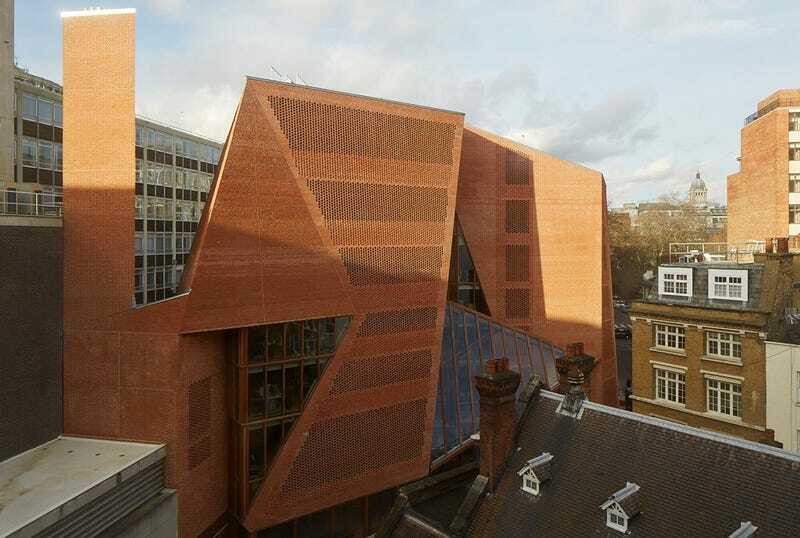 This is the Saw Swee Hock Student Center at the London School of Economics, designed by O'Donnell + Tuomey Architects. It's been shortlisted for the RIBA Stirling Prize for best new building in the UK. This is an object lesson in creating a surprising and startlingly original building on a difficult urban site. Every angled facet responds to the rights of light of its neighbours. Formed as a continuous spiral rising upwards, the outer brick walls slope and twist, gouged with cuts and cracks that give light and form. The floors take up complex shapes, yet all the spaces feel natural and functional. This is a building showing a high degree of craftsmanship. Check out the other buildings on the shortlist at Bustler.